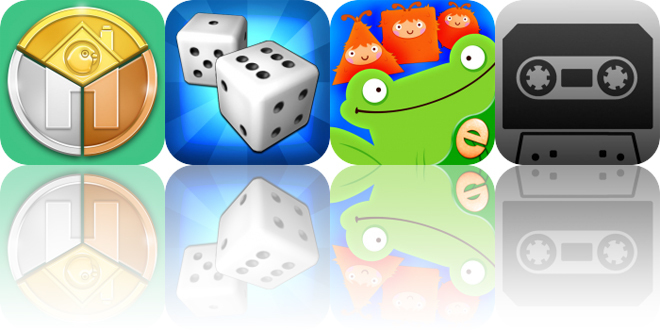 Plan for the future, play some Backgammon, and teach your child about shapes and colors with today’s collection of apps and games. Tape is available for free for a limited time. It has a 4.5-star rating with a total of 169 ratings. Home Budget Plan Pro ($1.99 → Free, 7.8 MB): Plan for the future with Home Budget Plan. Anyone who struggles with their finances. Home Budget Plan helps ensure that you live within your means. Start off by customizing the groups and categories to match your lifestyle within the “Set Up” menu. Then add your monthly income and expenditures to each line, and you’ll be able to see if you’re staying within your budget or overspending. The app also provides in-depth analysis to identify areas where you need to cut back. Home Budget Plan Pro is available for free for a limited time. It has a 4.5-star rating with a total of 9 ratings. Big Farm: Mobile Harvest ($1.99 → Free, 161.1 MB): Do you have what it takes to turn a rundown farm around? Find out in Big Farm: Mobile Harvest. Those who enjoy simulation and resource management games. You’ve inherited an old farm from Uncle George, but it’s overgrown and in need of restoration. To turn it into a flourishing enterprise, you’ll not only have to put in some hard work but also use your business skills. Plant the best yielding crops, harvest the fields, and tend to the animals in order to fill your bank account. Then use all of your profits to upgrade and expand your farm far and wide. You’ll also be able to meet other farmers, and enjoy seasonal events. Big Farm: Mobile Harvest is available for free today only (12/11). It has a 4.5-star rating with a total of 2518 ratings. Toddler Learning Games Ask Me Color & Shape Games ($3.99 → Free, 51.2 MB): There’s so much to see in this educational app all about shapes and colors. Children between the ages of three and six. Toddler Learning Games Ask Me Color & Shape Games is available for free for a limited time. It has a 4.5-star rating with a total of 30 ratings. Backgammon HD ($3.99 → Free, 82.3 MB): A digital version of Backgammon from the same team that brought Gin Rummy, Cribbage, Spite and Malice, and Hearts to the App Store. Anyone looking to play a game of Backgammon while on the go. Backgammon HD is available for free for a limited time. It has a 4-star rating with a total of 3314 ratings.